This year, it feels like I've had 3 birthdays as the celebrations seemed to happen Saturday, Sunday and Monday! On Saturday my family came to Canterbury to stay and then in the evening Stuart joined us all for dinner at my favourite restaurant 'La Trappiste'. 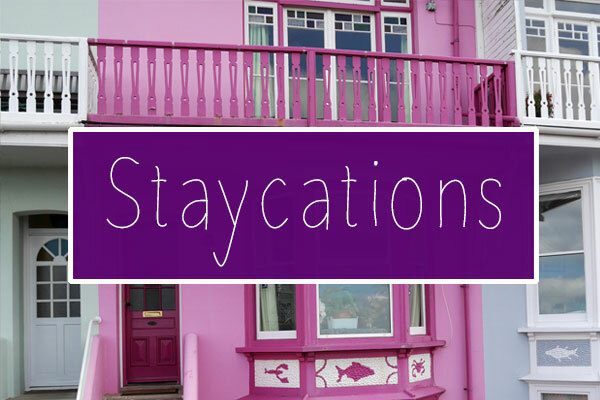 On Sunday (my actual birthday) I had breakfast with my family at their hotel 'The Miller's Arms' and then spent the rest of the day with Stuart and my friends watching movies, eating Frozen birthday cake and having a Domino's takeaway in the evening. I woke up on Monday thinking my birthday was over for another year, but when I arrived at uni, I found out that my coursemates had made cupcakes for me. They were pretty pastel colours and after submitting my final year project assignment, the perfect celebratory treat. 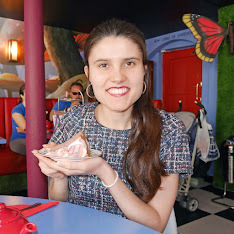 On Monday afternoon I had a catch up with my blogging bestie Mario. I still have a couple of meals planned for this coming weekend, so it really is an extended birthday this year! As always, I like to write a 'What I got for my birthday' post and with how busy I've been the past few days, this is my first opportunity. 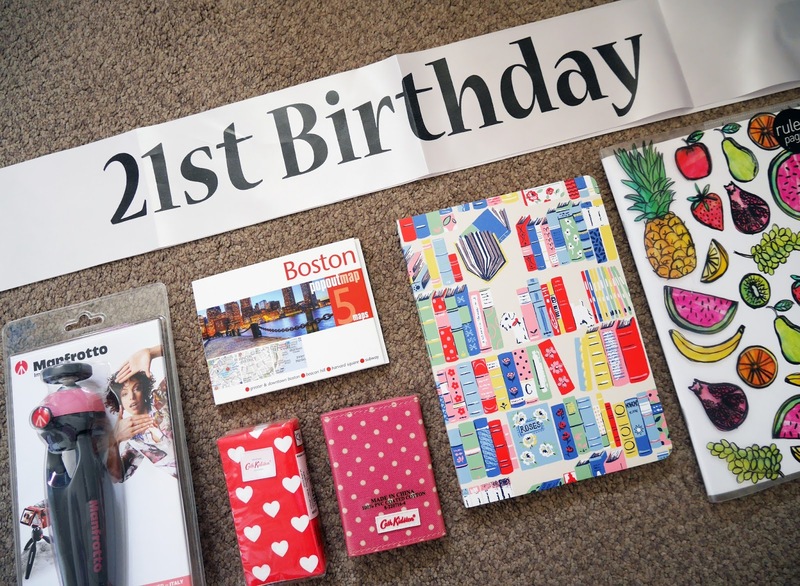 I was spoilt by my friends and family! 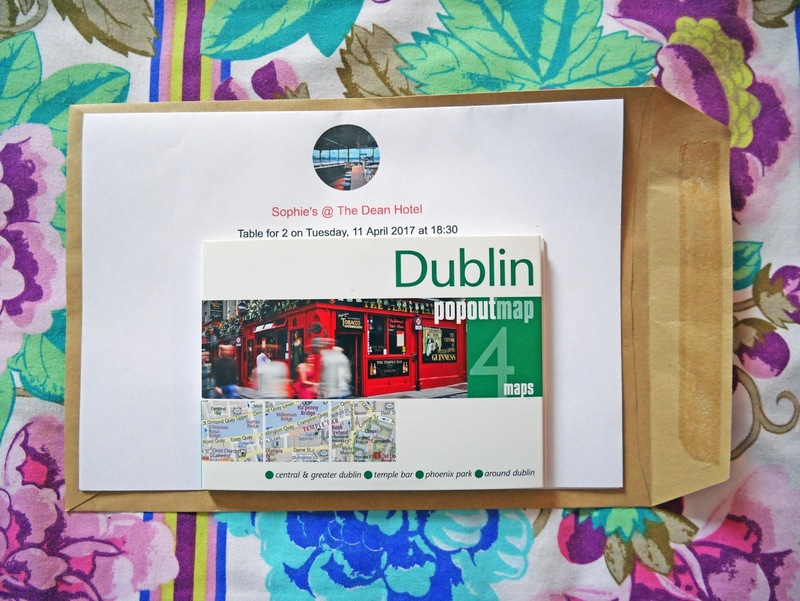 I received a couple of the popout maps for my birthday (Boston and Dublin), which is really exciting because since Christmas and our January Rome trip, I've started collecting them. Stuart got me the Dublin one and it will be used next week when we head to Ireland. My parents bought me the Boston one and I'll definitely take it to the USA later in the year. My Mum and Dad also bought me a pink Manfrotto travel tripod. I didn't know that pink tripods existed, so I was both really happy and surprised when I opened this gift! Stuart booked us a table at Sophie's panoramic city view restaurant in Dublin as a surprise for my birthday. I saw it mentioned in a Dublin blog post a while ago and after I mentioned the restaurant to Stuart, he went and booked us a table. It was so sweet of him! 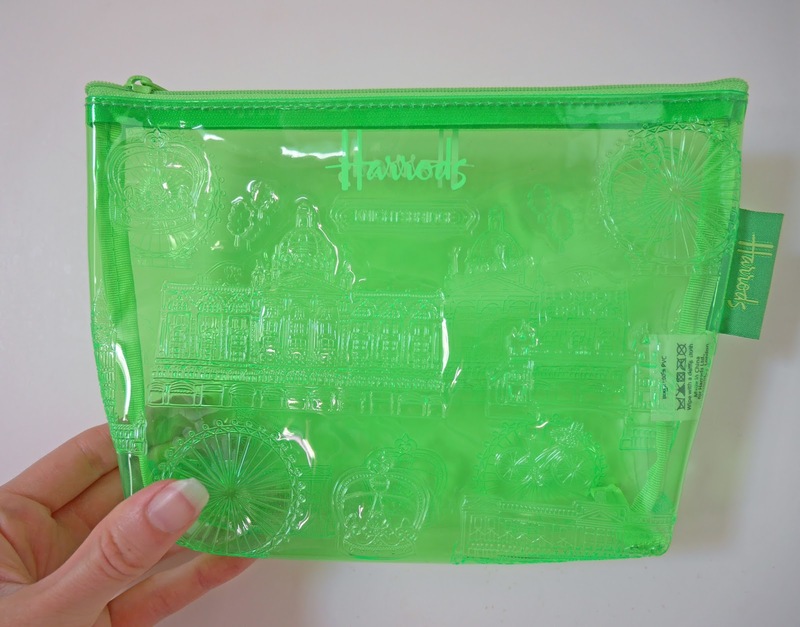 My sister bought me a gorgeous green Harrods travel toiletry bag, that has London architecture sketched over it. I adore London, so it's perfect for me! 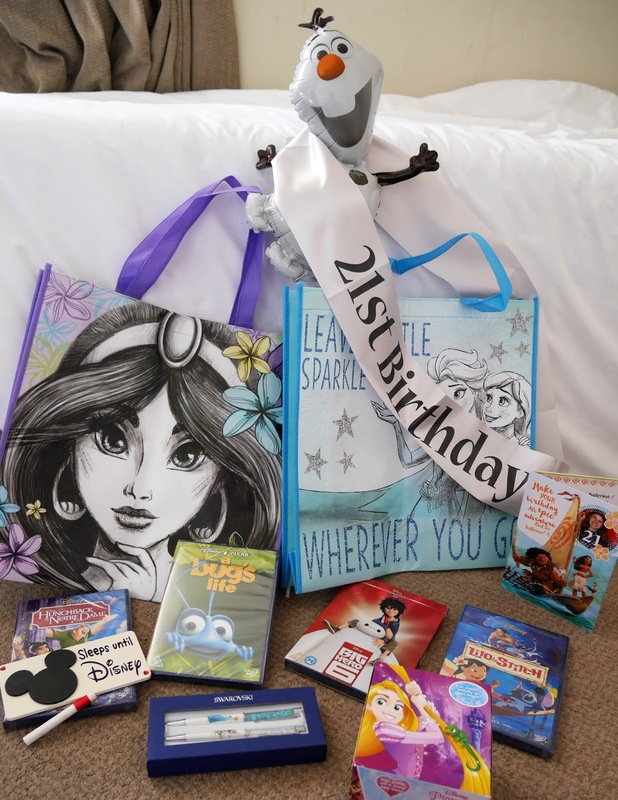 I was treated to lots of lovely Disney bits from my family. 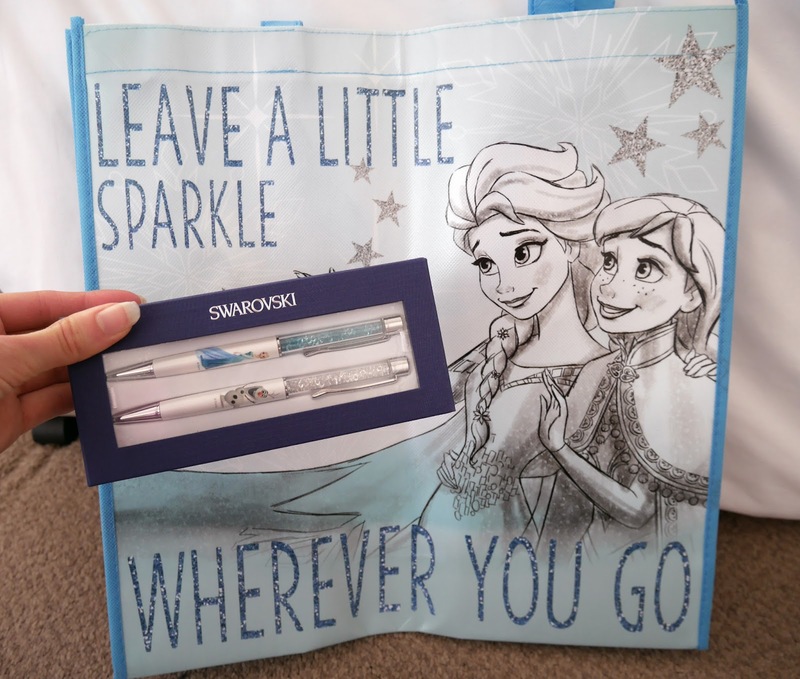 I got a 'sleeps until Disney sign', some of the Disney DVDs that I don't have yet, some sparkly Swarovski Frozen pens and a couple of reusable shopping bags. 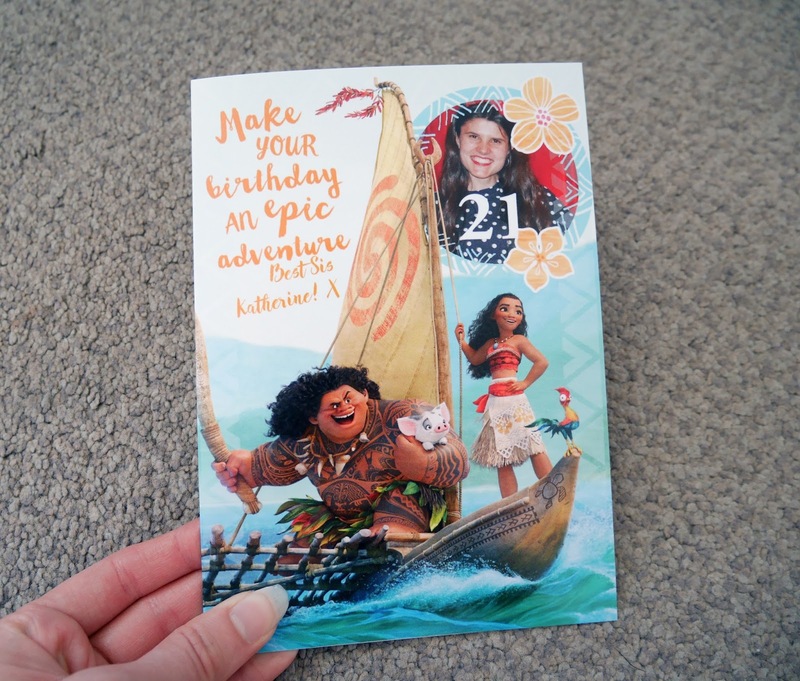 My sister even got me a personalised Moana card! I received some gorgeous copper-coloured Mickey Mouse earrings from Stuart. 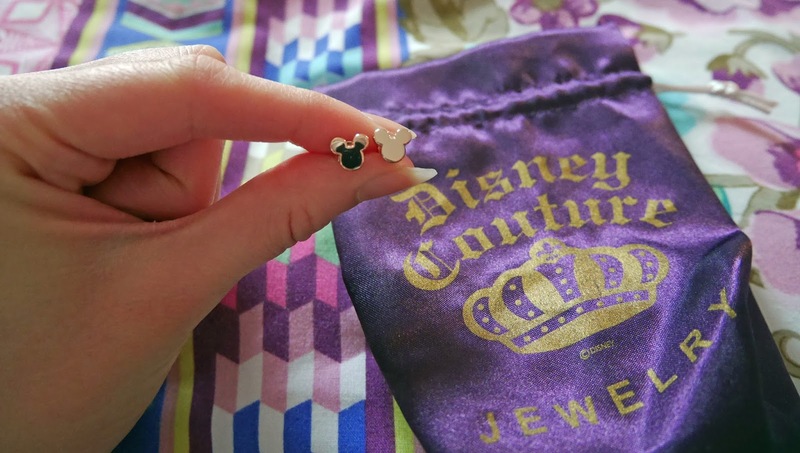 A while ago, I lost one of my Mickey Mouse Walt Disney World earrings, so I was thrilled to receive some new Disney earrings. Stuart also bought me some of the Disney Lego mini figures! 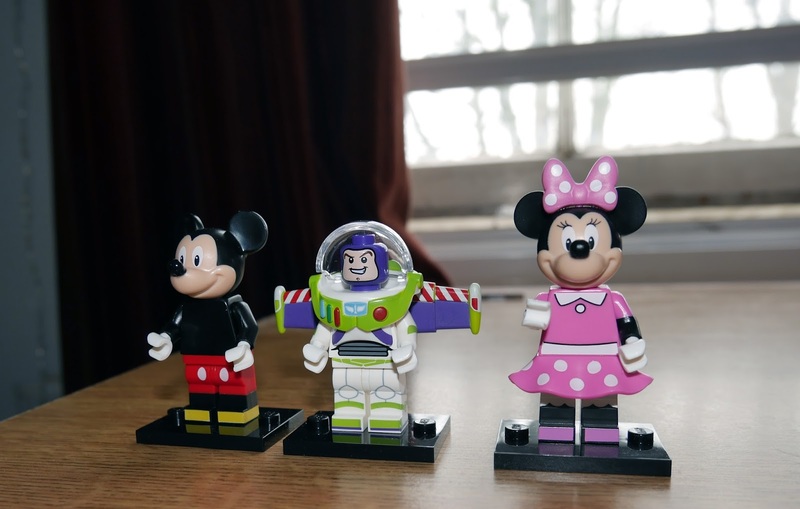 I got Mickey Mouse, Buzz and Minnie Mouse. 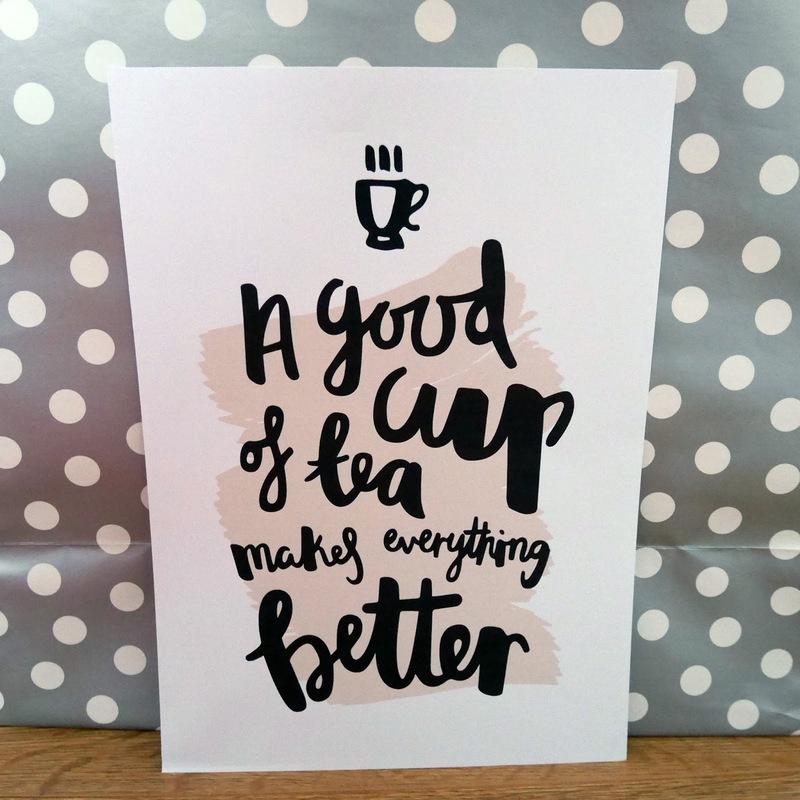 From Mario, I received this fab tea print. I'm known amongst my friends for being obsessed with tea, so he couldn't have picked a more appropriate print! Stuart's family bought me a 'make dreams happen' tea light and a gorgeous Cath Kidston umbrella. 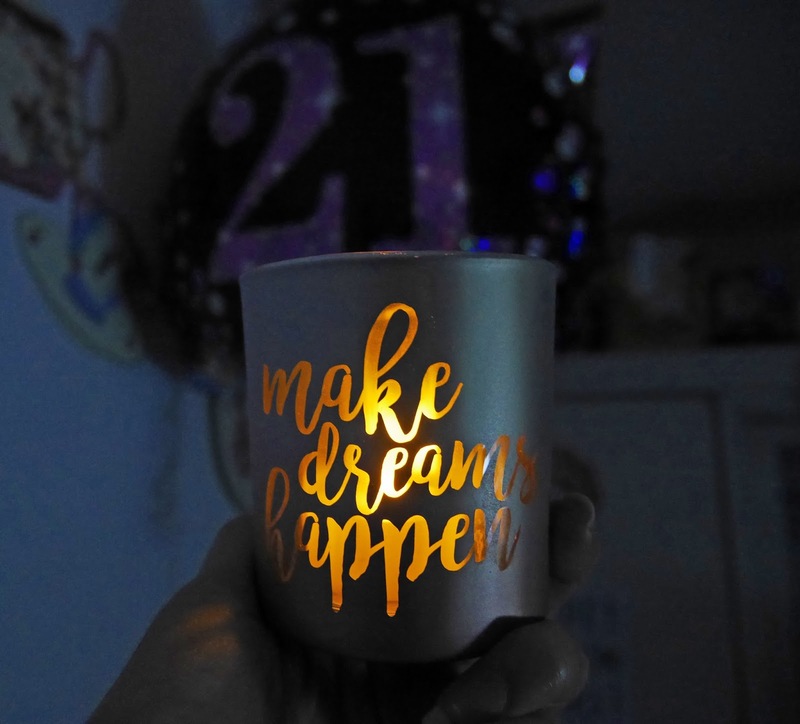 The tea light has such a wonderful glow! 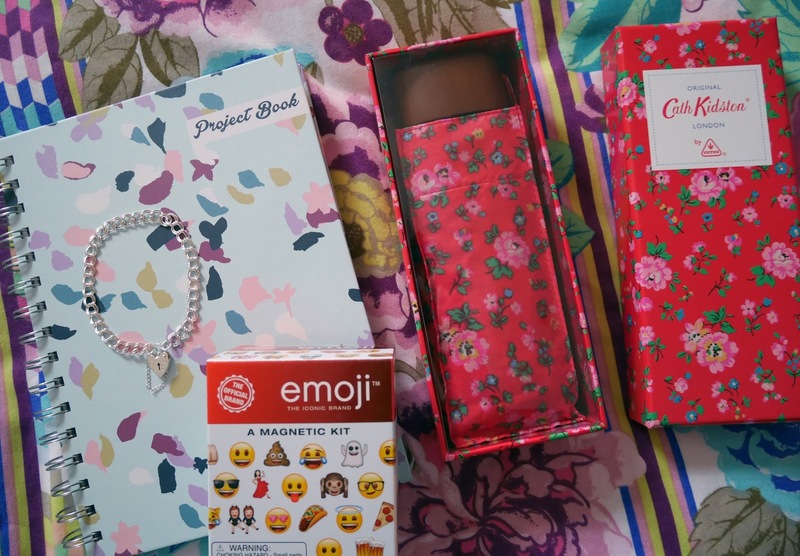 My friend Alice bought me a bracelet and notebook. The bracelet is such a classic, elegant design. Finally, Stuart bought me a set of emoji magnets. If you follow me on Instagram or Twitter, you'll know that I'm obsessed with emojis, so this present is fantastic! I feel so lucky to have such wonderful people in my life. It really was an amazing birthday!